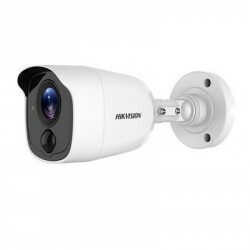 Camera de supraveghere Hikvision Turbo HD Bullet, DS-2CE16C0T-IRPF(6mm); 1MP; Fixed lens: 6mm; HD720p CMOS Sensor, 24 pcs IR LEDs, 20m IR, Outdoor IR Bullet, ICR, 0.01 Lux/F1.2, 12 VDC, Smart IR, IP66, Wide operating temperature range (-40°~60°); Support TVI/AHD/CVI/CVBS video signal output. 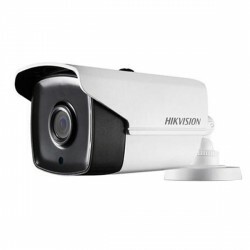 Camera de supraveghere Hikvision Turbo HD Bullet, DS-2CE16D0T-IRPE (2.8mm); 2MP; Fixed lens: 2.8mm; HD1080p CMOS Sensor, 24 pcs LEDs, 20m IR, Outdoor IR Bullet, ICR, 0.1 Lux/F1.2, 12 VDC/built-in PoC, Smart IR, DNR, IP66. 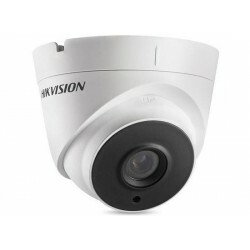 Camera de supraveghere Hikvision Turbo HD Dome, DS- 2CE56D0T-IT1(2.8mm); 2MP; Fixed lens: 2.8mm; HD1080p CMOS Sensor, 2 pcs EXIR LEDs, 20m IR, Outdoor EXIR Eyeball, ICR, 0.1 Lux/F1.2, 12 VDC/ built-in PoC, Smart IR, DNR, IP66. 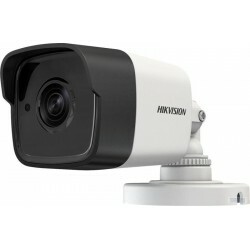 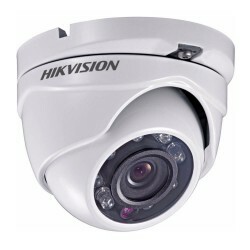 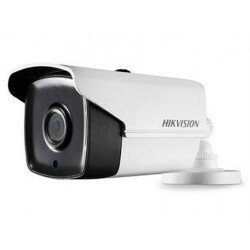 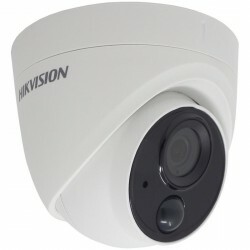 Camera de supraveghere Hikvision Turbo HD Bullet, DS-2CE16D8T-IT(2.8mm); 2MP; Fixed lens: 2.8mm; Ultra Low-Light EXIR outdoor Camera; 2MP CMOS Sensor, EXIR, 20m IR, ICR, 0.005 Lux/F1.2, 12 VDC, Smart IR, 3D DNR, OSD Menu (Up the Coax), True WDR, IP66. 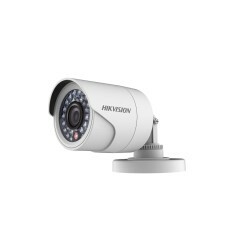 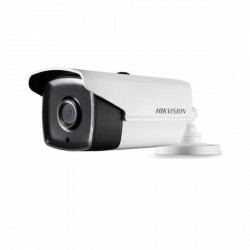 Camera de supraveghere Hikvision TurboHD Bullet DS-2CE16D0T-IT3F(3.6mm); 2MP; CMOS Sensor, 2 pcs EXIR LEDs; 40m IR, Outdoor EXIR Bullet, ICR, 0.1Lux/F1.2, 12 VDC, Smart IR, DNR, IP66, 3.6mm Lens, Support TVI/AHD/CVI/CVBS video signal output. 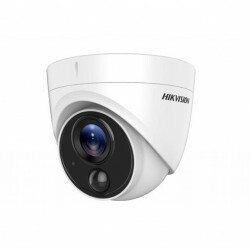 Camera de supraveghere Hikvision Turbo HD Bullet, DS-2CE16D0T-IT3 (2.8mm); HD1080p, 2MP CMOS Sensor, 2 pcs EXIR LEDs, 40m IR, Outdoor EXIR Bullet, ICR, 0.1 Lux/F1.2, 12 VDC, Smart IR, DNR, IP66, 2.86mm Lens, Support TVI/AHD/CVI/CVBS video signal output. 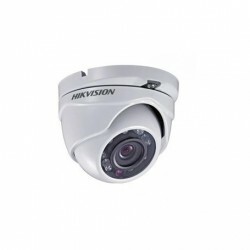 Camera de supraveghere Hivision Turbo HD Ultra-Low Light PIR Turret, DS-2CE71D8T- PIRL(2.8mm); rezolutie 2MP, lentila 2.8mm, detector pir incorporat, la detectia miscarii emite un flah luminos de culoare alba, distanta IR: 20m; 120 dB true WDR, EXIR 2.0, smart IR, 3DNR,AGC, OSD Menu (Up the Coax), IP67.